EVERINTEC is committed in pursuing new stabilizing techniques, including those coming from the raw material "GRAPE" or from "FERMENTATION”. Recent studies show how the valorization and the search of typicality in wines pass through a careful choice of the winemaking, filtration, refrigeration processes and so on. 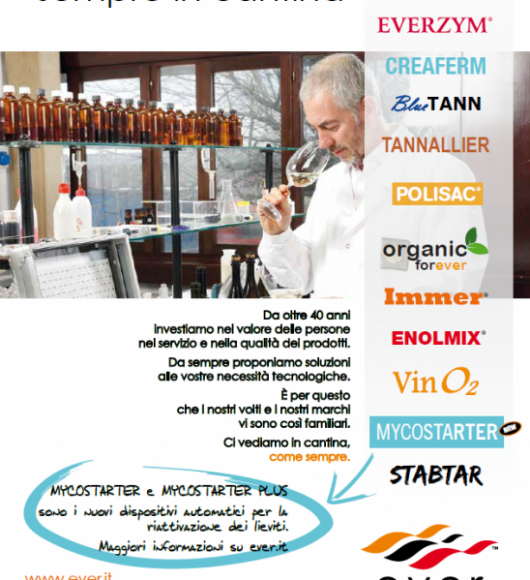 Under this principle, the range of EVERINTEC’s stabilizers is constantly updated in order to offer to the winemaker the possibility of choosing the stabilizing aid, the application or application technique most suited to enhance his wine. 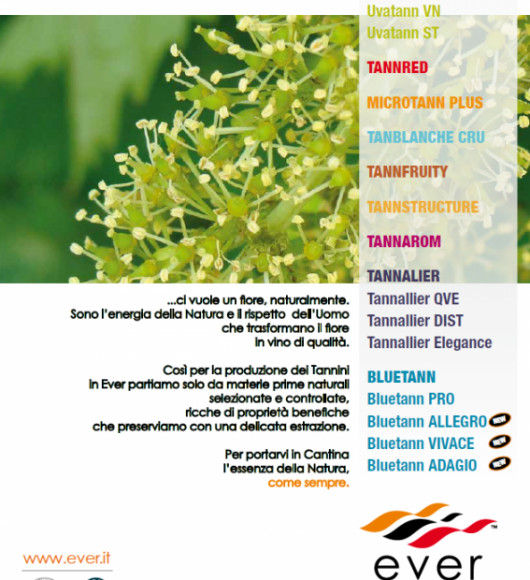 EVERCELL 05 is a solution of Gum of Cellulose (CMC) for use in the winemaking Industry and has been realized by EVERINTEC for the tartrate stabilization of wines. 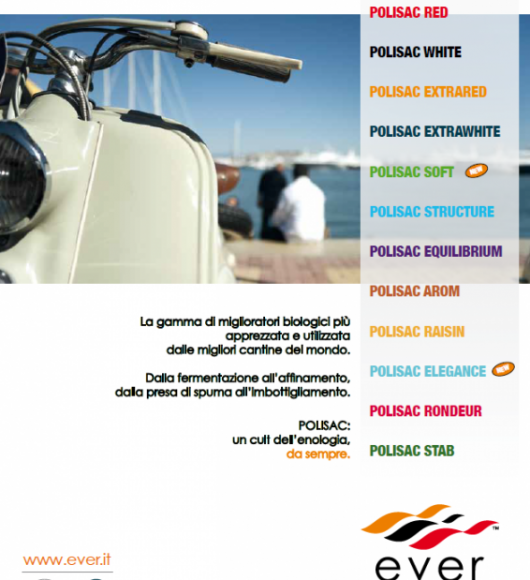 STERISOL 600 is a concentrated and ready to use quality liquid sulfiting agent. STERISOL 600, apart from its “antiseptic” and “antioxidant” actions, intervenes positively in fermentations due to the free amino nitrogen (FAN) supplied.